Is it fraud, poor service, product quality or shipping delays? 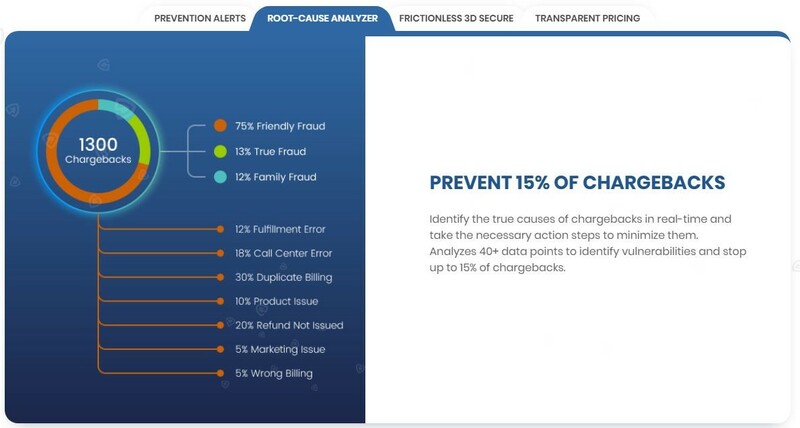 Chargeback Gurus’ Root-Cause Analyzer is powerful solution for collecting data from chargebacks and providing analytics that discover the true sources of chargebacks that are draining billions from ecommerce enterprises each year and causing harm to customers relationships. Chargeback Gurus’ Root-Cause Analyzer identifies the true causes of chargebacks in real-time and takes the necessary actions to help minimize them. The tool uses artificial intelligence and human intelligence to analyze more than 40 data points and detects patterns and vulnerabilities causing chargeback spikes, stopping up to 15 percent of chargebacks. Marketing. Are you getting chargebacks because customers are disappointed that your products aren't satisfactory? Your marketing team may be setting unrealistic expectations. Customer Service. How much contact do customers typically have with your company before they file a chargeback? Are they unable to reach you easily? Better, more accessible customer service may be the solution here. Referral Traffic. Are many of your chargebacks coming from sales you can source to a particular traffic provider? It may be time to reconsider that relationship. Salespeople. If your sales team is pressuring customers into making purchases that they later regret, they might need to be trained to take a different approach. Manufacturing. Low-cost offshore manufacturers sometimes produce low-quality goods, which can lead to customer dissatisfaction and chargebacks. The Root-Cause Analyzer is available exclusively for Chargeback Gurus customers as part of its full-service suite of chargeback management tools. Chargeback Gurus was able to help over 2,200 merchants sustain their merchant accounts by removing the guess work and focusing on precise strategies to overcome the challenge of improving customer experience and improving revenues.